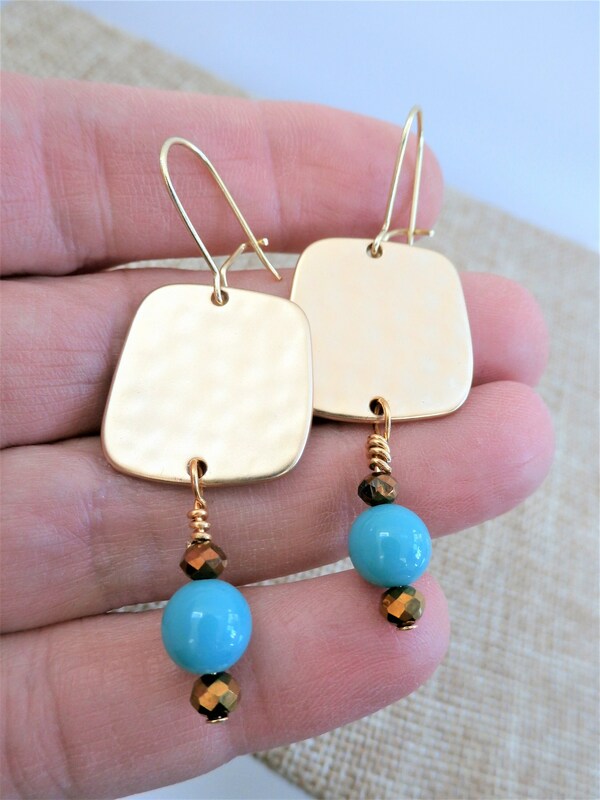 Hammered gold square earrings with turquoise and faceted bronze sparkling crystal,on french wires.All hand wired with 14k gold plated wires. 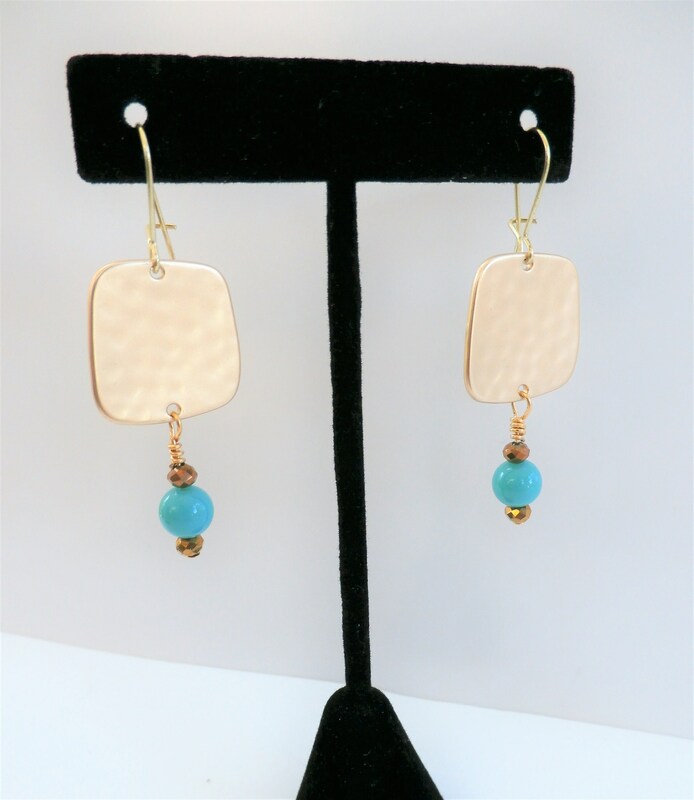 Hammered gold square earrings with turquoise and crystal beads,on a gold french wires. All hand wired with 14k gold plated wires. Comfortable and lightweight, these hand wired beaded earrings on french wires are a stunning addition to your earring collection. 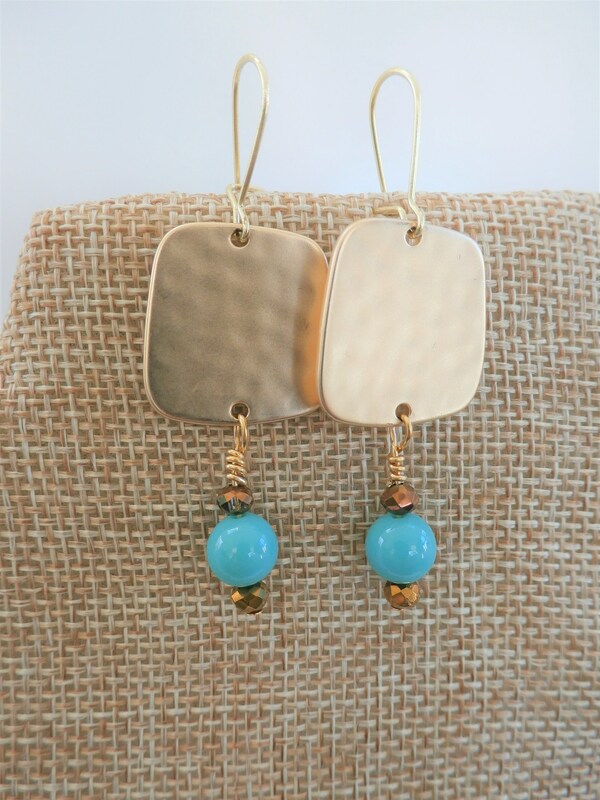 I love turquoise and gold and amber in a desert colored palate, and a neutral to wear with many things.